Today marks Day 15, the halfway mark, of Whole30 for me! 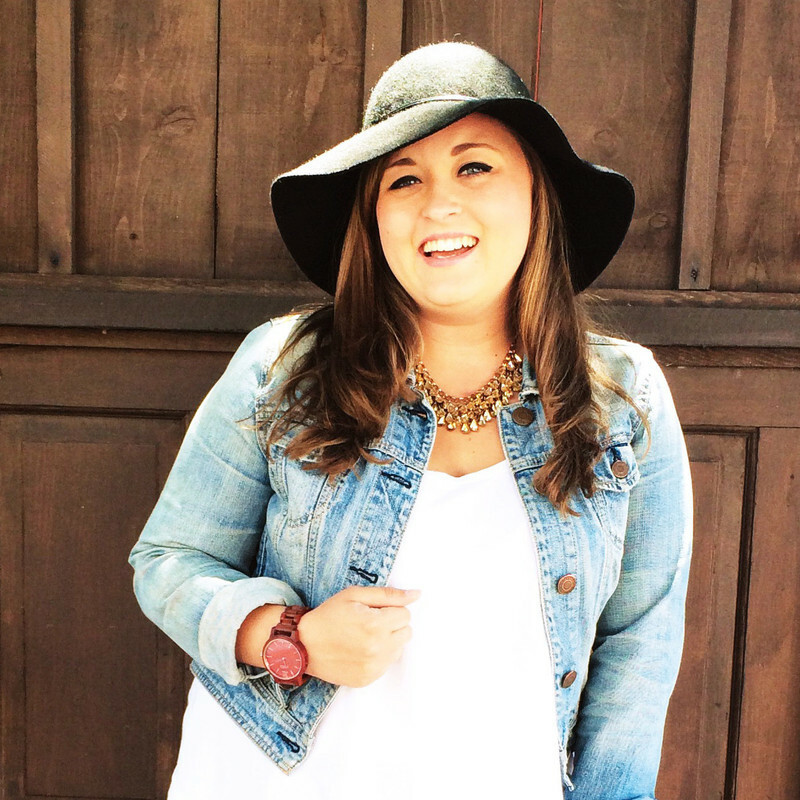 (You can find my first Whole30 post HERE!) It really feels like it has been much longer than that, but I am really proud of myself for reaching this milestone. I debated whether or not to start for so very long that I never really thought I would get this far! I am happy to say that I have gotten this far without ever even thinking about quitting. It just is not an option for me, as I want to prove to myself (and Dai, the skeptic!) that I can do it and commit to something. After all, I (and you!) can do anything for just 30 days. The idea is to eat whole, clean foods to let your body recover from all of the junk we tend to fuel it with, and to see how your body reacts to certain things once you start adding the off-limits food back into your diet. Ideally, this is an eye-opening, life changing experience that will encourage you to change your lifestyle for good, simply because it is what is best for your body. 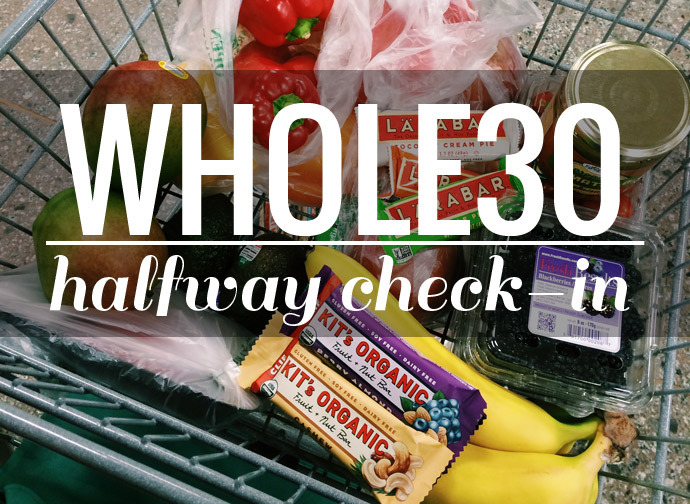 So, now that I am halfway through my first round of Whole30, I am here to check-in with you all! 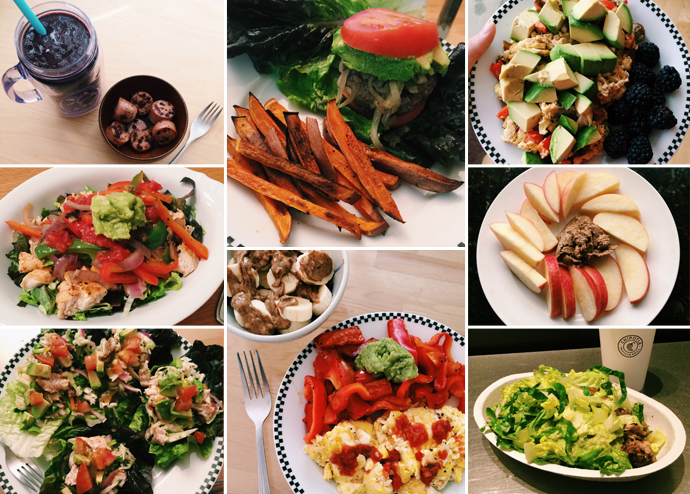 Something that inevitably comes with Whole30 is a lot of cooking! For someone like myself who is always on the go, not often home, and doesn't grocery shop much, it is definitely a big change. Believe it or not, I really enjoy it though! I enjoy my trips to the grocery store to stock up on veggies, fruit, and protein, my cute mini shopping cart filled to the brim with colorful things that I know are good for me. Forcing myself to prepare and eat 3 meals per day has also been an interesting challenge for me, as I am typically someone who skips over breakfast, maybe has a snack or something small for lunch, and eats a larger dinner. Carving out the time to start my day off with breakfast has been an especially nice change for me! I definitely feel like I am doing something kind for my body and mind. When it comes to cooking, I have found that the quickest and easiest way for me to put a meal together is to throw some veggies and meat into a skillet and see how it turns out! I am not the kind of person who enjoys spending a lot of time in the kitchen or making a huge mess to clean up. Dai says that I need to branch out and try to make new things, but I have found a formula that works for me! Plus, the way I see it, it is best for me to keep things as simple as possible because if it gets to be too much work or too time consuming, I am less likely to stick to it. That's the honest truth! When I talk to someone about Whole30, they inevitably ask "So, what do you eat?" 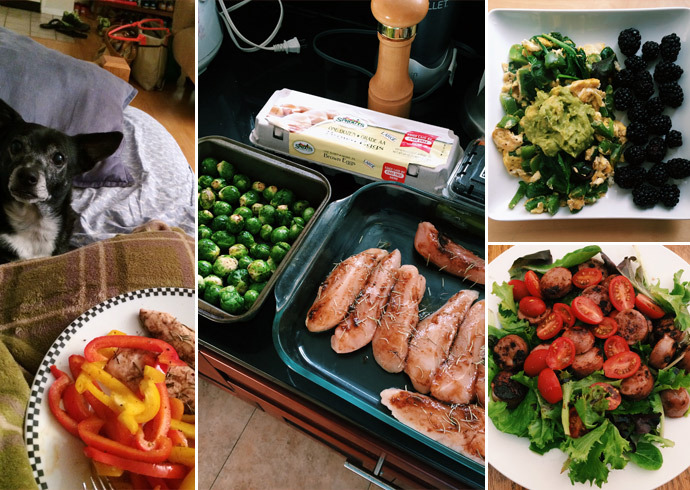 Here's a look at a typical day of Whole30 eating for me! I usually start with scrambling 3 organic eggs and add veggies to the egg mixture or sauté some in a separate pan. I like to top my eggs with guacamole or some avocado, as well as maybe a bit of tomatillo salsa. I also like to have some fruit on the side, like berries or oranges. Aidell's Chicken Apple Sausages have been a life saver for me! When I am in a time crunch or want to keep things as simple as possible, I chop a couple of those babies up and sauté them in a pan. I then either put them on a bed of lettuce with some veggies for a nice salad, or also sauté some veggies to mix them up with. Guacamole or avocado is a must on everything. I'll also maybe have a small amount of fruit on the side. For dinner, things vary a bit because I actually cook for my nanny family and generally end up eating at work. I have been doing my best to make the meals I cook for them Whole30 friendly or easily modified for myself. Typically though, I will make meat, like chicken, and lots veggies on the side! I really enjoy roasting veggies in the oven, especially sweet potatoes and Brussels sprouts. It is advised to refrain from snacking as much as possible during Whole30, but some days you just need a little boost to get you through to the next meal. When this happens I usually have a handful of raw almonds or apples/bananas with almond butter. Bananas with almond butter is my very favorite "treat!" 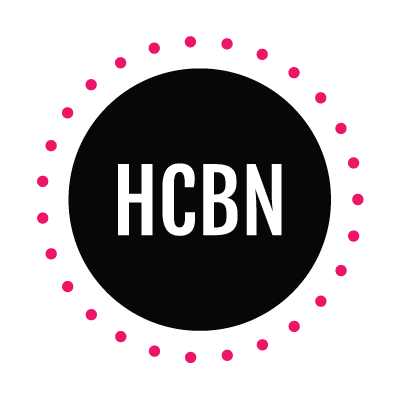 Bottom line: Is it hard? No, it is not hard. Like the Whole30 website points out, beating cancer is hard, giving birth is hard, and losing a loved one is hard. Eating whole, healthy foods is not hard. It definitely takes will power and dedication, but it is not hard. It has been a wonderful, sometimes challenging, life changing 15 days! I am ready to tackle the next 15 days and beyond! 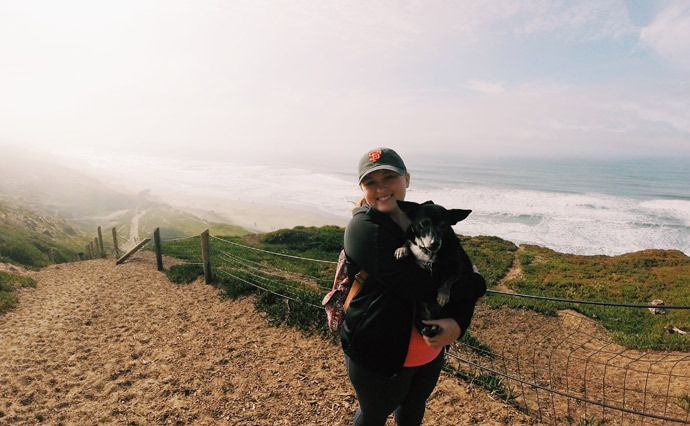 People often have a lot of questions about Whole30 and I would love to answer any that you may have! Just comment below with whatever is on your mind :) I will maybe even put together a separate Q&A post depending on how many questions you lovely readers have! If you are interested in keeping up with my day-to-day Whole30 progress, you can follow my separate Instagram account @JessWholeLife! So excited for you! It's only gonna get better in the next few weeks! When we did this for the first time I didn't notice much change until the end of week3, and then suddenly life became sooo good! :-D Great job, Jess! I'm thinking long and hard about doing a Whole30 challenge myself (lord knows I need to shed a few pounds and get in shape), and this post was the nudge I needed! Thanks! I hope the rest of your Whole30 goes well and that you love it so much that you continue with it. Good for you! It got so much easier for me once I hit the halfway point! You're getting me excited to try this .. but i think i'll have to do it when my husband is gone this summer!! He's trying to gain weight.. so that obviously would make it hard for me, lol! Thanks! Things have been going pretty smoothly lately! Thanks girl! Haha yeah you have enough going on for now, but you should definitely jump on board when you move! Ahhh thank you!! I'm on day 20 now I can hardly believe it! I'm looking forward to seeing my results on day 30 :) I definitely notice that I've had a lot more energy the past few days!